Contains two strut mounts (including nuts and studs), differential drop, and BOLT-IN spacers for the rear. 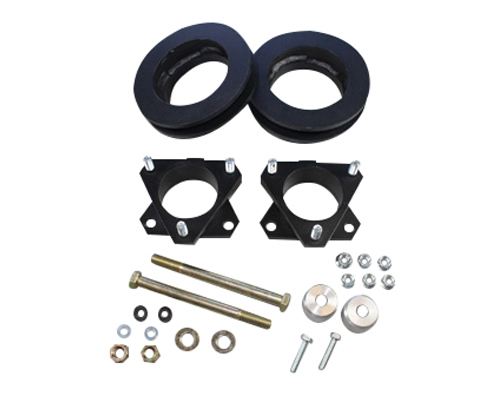 Increases Ground Clearance over traditional bracket type lift kits even without the use of larger wheels and tires. NO SPRING COMPRESSOR REQUIRED! Installation requires no disassembly of the strut. Other kits require the disassembly of the strut in order to install their kit. Keeps your Factory Ride Quality. Stock shocks can be used. No additional modification to the truck is necessary.